Last year shipping costs totaled $1.49 trillion for US companies. How can you keep your shipping costs down? Knowing the right method of shipping will help you get the most from your shipping budget. When considering LTL vs FTL there are a few basic things you should consider. First, we will look at what each type of shipping entails. Then we’ll help you look at the factors you should use to decide which method is right for your shipment. If your shipment requires the use of the entire truck then you have a full truckload shipment (FTL). This means your shipment either takes up the entire physical space or the entire weight limit. Because you have a dedicated truck your shipment will stay on that truck from origin to destination. This gives your shipment a sense of security. Less than truckload transportation lets carriers combine many shipments into one trailer. Each shipper then pays for the part of the truck that their shipment takes up. If your shipment is between 100 and 15,000 pounds you are most likely going to use LTL. Your shipment will get taken on and off the truck many times during transit. This type of shipping lets you take advantage of cheaper pricing due to demand. Carriers consolidate shipments and spread the cost of transport across all of the shippers. You have less chance of damage when you FTL. This is because your shipment is the only one. With LTL there are many shipments going to different destinations. The carrier will create a delivery route that is cost-effective for their operation. This means that the shipments may not come off in the order that they went on. Your shipment could come on and off the truck multiple times before delivery. The carrier may send your shipment’s truck to one of their hubs for reorganization. Freight carriers have hubs around the country to facilitate consolidated shipping efforts. Consider this, not everyone in your area will ship to the same area of destination. For example, a carrier’s truck may pick up multiple shipments in the Atlanta area. The truck will then drive to the hub and drop the shipments off. Those shipments will then get placed on different trucks heading to different regions of the country. That way one truck isn’t driving from Atlanta to the Northeast, and out to California. You need to package your shipment to survive this sort of handling. Freight shipments experience delays on a regular basis. The delivery times that carriers provide are an estimate. If you are using FTL it is more likely that you will receive your shipment on time. This is because your shipment is the only one on the truck. Your shipment doesn’t need to go through the hub. The only possible delays are while on the road during transport such as traffic or weather. You may find that you have to pay for a full truckload as LTL is not available. This happens when your shipment goes to a remote location that has low shipping volume. The transportation industry is facing a shortage of equipment. Trucks are a hot commodity as shipping demands increase and carriers can’t keep up. Due to the shortage of equipment, if your dedicated truck has a problem your shipment may get stuck. This is because your carrier may not have a backup truck to keep your shipment moving. This problem is not as common with LTL shipments. These trucks run standard routes so another truck will be able to rescue your stranded shipment. LTL shipments have more variables for a delay as they deliver to multiple people. The carrier will determine the most cost-effective route, which may not be a direct transit for your shipment. The hub and spoke transport method we described earlier also effects transit times. 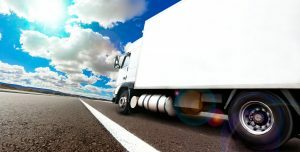 Carriers want to maximize their profits by filling a truck going to a certain area. This means your shipment may get delayed while the carrier waits for enough shipments to consolidate. This explains why rates are higher to less popular locations. Determining which method of shipping is the most cost-effective depends on the size, weight, and category of your shipment. The larger and heavier your shipment is, the more likely FTL will be the most cost-effective. As we mentioned, 15,000 pounds is the threshold for weight. Once your shipment passes this weight you will generally find that FTL will provide a better rate. What if your shipment takes up a lot of space but isn’t heavy? LTL pricing works best with smaller shipments regardless of weight. If your shipment is 10 pallets or more you should consider a full truck. The third consideration in pricing is the location of the destination. If your LTL shipment is going to a remote location the carrier is likely to charge you a higher rate. This is because it costs the carrier a certain amount to transport your shipment and drive the truck back. Carriers are less likely to want to ship to a remote location as it is harder to find a shipment for the return trip. If you are using the entire truck it will be easier for you to negotiate a reasonable rate with the carrier. When making the decision between LTL vs FTL you should consider the size, weight, time, and destination of your shipment. If your shipment reaches the weight limit of the trailer you are better off with FTL. If your shipment takes up the entire space in the trailer, you are better off with FTL. If your shipment is time sensitive, you may want to consider having a dedicated truck. Whichever method you choose you will want to package it well to prevent damage. This is especially true for LTL where your shipment will get moved during transport. Let us help you determine the best shipping method for your shipment today.